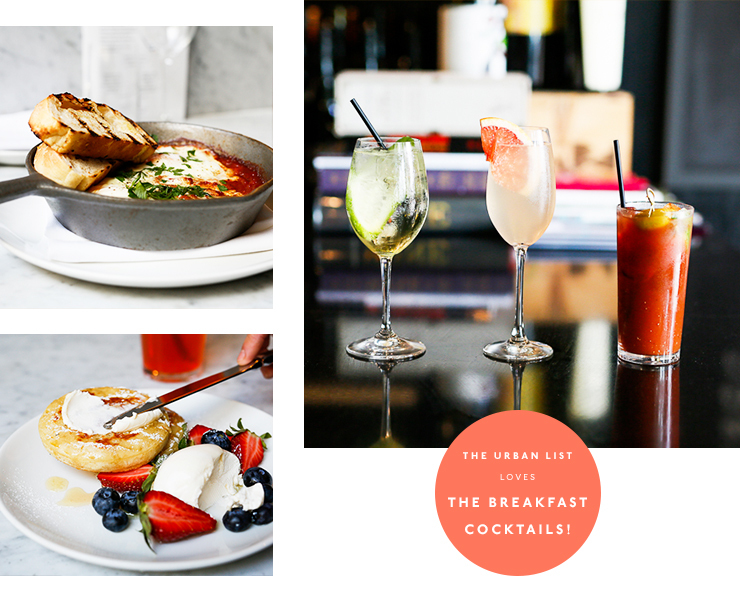 We all know and love Shadow Wine Bar for their wine (duh) and their delicious dinner, but did you know they’ve been doing a crazy delicious boozy brunch for a while now? If not, it’s time you went and checked it out. Being a wine bar, it’s not all that surprising to hear that you’ll want to check out the drinks list, is it? There are grapefruit mimosas and bloody Marys, but if you’re an Aperol spritz fan you need to try the pink lemonade—Aperol, rose and fresh grapefruit. Yum! They also do a prosecco, St Germain and cucumber cocktail that sounds like the perfect way to start your day. Coffee is from Mano a Mano and will hit the spot and they also do fresh OJ, Capi sparkling grapefruit and blood orange juice (our fave!) and ice tea lemonade in case you’re planning on staying sober, but why would you? The menu isn’t long but you’ll spend an age agonizing over what to order. The grilled asparagus with poached eggs and hollandaise is deliciously decadent and a little bit healthy at the same time, and ordering it with a side of toast is a very good idea if you ask me. The other star dishes are the shakshuka—beautifully served in the frypan it was cooked in and with a side of grilled Common Loaf toast—the salmon with soft boiled eggs and a scrumptious sprinkling of dill on toast, and the potato rosti if you’re after something a little heartier. Just remember to save room for some breakfast dessert because the crumpets with mascarpone are not to be missed! So next time you’ve got something to celebrate, or you just want to treat yourself, head to Shadow with your crew, order a couple of pink lemonades and stuff yourself silly!